What do Albuquerque, Miami, Houston, Boston, Providence and Los Angeles have in common? The PBS program that is “part detective show, part emotional journey” features incredible stories of everyday Americans. 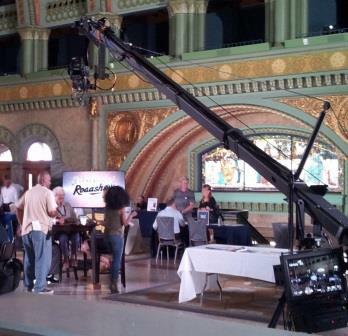 As a senior researcher for Genealogy Roadshow, I worked with lead genealogists Kenyatta Berry, Joshua Taylor and Mary Tedesco to dive deep into archives and other repositories for the evidenced needed to solve mysteries and provide the cast members with long-sought for answers. More than 10,000 applications were sent in for Season 3, and can share your story and questions with Genealogy Roadshow here. Camera shy? Hiring a professional genealogist might be a better route for you. Check out my services and tips for working with a professional. Season 3 begins airing on Tuesday 17 May at 8pm ET and runs through 28 June 2016. Check your local listings for your stations and time.